Elisabeth Anne Leonard was born in Chicago and has lived numerous places since. After receiving her MFA from the University of Pittsburgh, she obtained her Ph.D. in English literature and published several scholarly works with an emphasis on race in science fiction and fantasy. Eventually she ended up in law school, where in the short intervals when she was not studying she started writing the book that became Moth and Spark. Her other creative outlet is photography. She lives in Northern California with her husband, son, and two black cats. 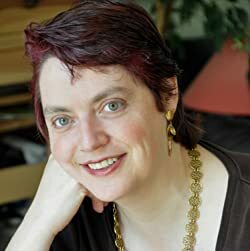 Her website is http://anneleonardbooks.com, and she can be found on twitter at @anneleonardauth. CLICK HERE FOR MORE BY ANNE LEONARD. 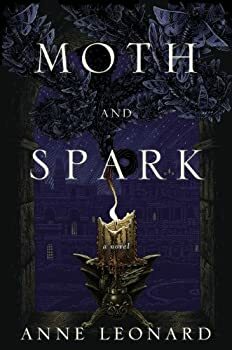 Moth and Spark, Anne Leonard’s debut novel, is a member of a very specific and well-populated fantasy subgenre: a classic tale of high romance, sword fighting, dragon-riding, and faux-medieval politicking. It’s more or less the Anne McCaffrey and Patricia Briggs reading of my middle school years, read and re-read with all the critical discernment of a kid shoving cotton candy down her throat at the fair. Moth and Sparkwas cotton candy of the most typical sort — nothing but air and spun sugar, but still a sweet way to pass the time.